Correctly placing dentures takes skill and experience. Our White Lake denture dentist is experienced in the placement of dentures and skilled in ensuring that they fit and function properly. If you have lost your teeth or are in danger of losing them, our experienced denture dentist in White Lake MI can help you examine your choices and choose the type of dentures best for your mouth and your lifestyle. Many people who wear dentures or partial dentures have difficulties with slipping, eating or sores that all stem from the apparatus being poorly constructed or ill-fitting. Our White Lake dentists wil provide high quality full dentures and partial dentures that will fit correctly, remain comfortable, pain-free, stable and not move around when you eat. Our full and partial dentures are custom-made using quality materials that look natural and are durable. Our professional White Lake dentists will ensure that they are the right shape, color and size for a natural look and that the bite is correct so that you can talk and eat properly. Aligning the dentures correctly will also give you a more attractive look and prevent premature wrinkles around the lips or at the corners of the mouth. 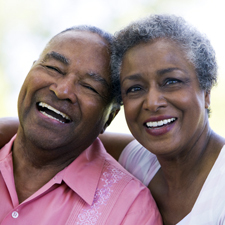 Our denture dentists may recommend the use of full dental implants to stabilize your dentures. This has the added benefit of deterring bone loss, which can cause eventual difficulties with wearing dentures, jaw problems and even change the appearance of your face, giving it a sunken look. Our dental professionals are experts in crafting and placing dentures and implants, and will ensure that your implants secure your dentures to create the most natural fit and feel possible. 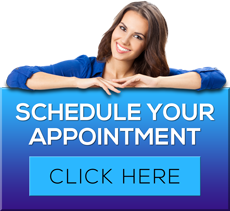 To learn more about White Lake dentures dentist James A. Bedor DDS or to request an appointment, please contact us here or call our office directly at 248.698.8330.